John Jantsch: On this week’s episode of the Duct Tape Marketing Podcast I get to visit with a true entrepreneurial success story. Speaking with Landon Ray, the Founder of ONTRAPORT. I’ve known Landon for about a dozen years and I’ve really watched the evolution of Landon and his buddy starting a company going out there trying to figure out how to sell it to now a hundred people in the campus in Santa Barbara with a piece of software that is really second to none in the marketing automation space. It’s really great to hear his story. I think you should check it out. Hello, welcome to another episode of the Duct Tape Marketing Podcast. This is John Jantsch. My guest today is Landon Ray. He is the Founder and CEO of ONTRAPORT, an award-winning web-based sales marketing and business automation software platform. Landon, thanks for joining us. Landon Ray: Yeah, thanks for having me, John. It is my pleasure. John Jantsch: You have always been the CEO of an award-winning web-based sales marketing and business automation software platform so give us your story. Landon Ray: No, I definitely have not. How far back should I go? John Jantsch: Let’s start with your … You and I go back at least ten or twelve years, let’s start with your first four into an online business in general. Landon Ray: Yeah, that would have been 2004. I actually started a completely separate business with a buddy of mine and I didn’t have any idea what I was doing. I’ve never made software before or even a website. He had a little local web development agency which is making websites for random people. He thought he can build a piece of software and we got this idea which I won’t bother getting into unless you want to but it was a different idea altogether. We pursued that and since I didn’t know anything about the web, we kind of split up duties and I took sales and marketing and he took web development because we’re building a software product. I didn’t know anything about sales and marketing so I just started researching and learning and going to conferences and trying to figure it out and of course this was the early days of online marketing still real early days looking back on it. I had to learn not just web marketing but really just the fundamentals of marketing in general, the ideas behind direct response marketing and the basics like follow up with leads, generate leads instead of going directly for the sale, stay in touch over the long-term and follow up, split testing, the whole concept of testing your marketing was new to me, tracking your lead sources was new to me. The idea of just being relevant to each individual or at least each individual source which is about as good as we could do at the time was new to me. We gathered all these ideas. We’re spending quite a bit of money. I had some money to invest from a previous career that I had and so we’re really going for it and I pretty quickly realized that we needed a bunch of software tools to run our own business, this marketing and sales effort that I was building but they didn’t really exist or at least I couldn’t find them or at least I couldn’t find them for a price I was willing to pay. There was some enterprise tools out there that were charging ridiculous amounts of money going after salesforce.com customers but they are way out of our range and so we decided to start building these tools internally. Within about I don’t know, 12 or 18 months, I got so excited about these tools that we’re building and sharing them with my friends that I made at these marketing conferences that I decided that … The opportunity to turn these tools into a product that I can sell. It was more interesting than the business that we actually started so I kind of left that initial business and pivoted completely to selling these tools. It took us quite a while to figure out how to do that but eventually it worked out. John Jantsch: I wonder how many times entrepreneurs have said that I couldn’t find the tools so I built it myself. It seems to be a recurring theme. ONTRAPORT today in its current model and feel free to share whatever you’re comfortable sharing. How big is ONTRAPORT today? How many people? Whatever you want to talk about. Where are you today? Landon Ray: We’re a private company. We don’t really share revenue numbers but we do pretty well. We’re over a hundred people now internally. We have been in business as ONTRAPORT for 11 years, coming up on 12 here and yeah, growing very well, profitable, have been profitable for almost all of our history since 2009 with one year exception and growing bootstrap basically. We grow the business out of our own revenue the old-fashion way which has been challenging but wonderful also. John Jantsch: I had the pleasure recently of visiting your campus there in Santa Barbara, lovely Santa Barbara and everybody looked happy. Landon Ray: Yeah, we do have a happy bunch. We focus a lot on, one of the things that’s a real opportunity about starting a business that employs people is that you get to make a difference obviously for your customers but you also, in our case, our customers are all over the world. We chat with them online but we don’t get to hang out with our customers that much except for once a year with our annual event, ONTRApalooza but we do get to hang out with our employees. The opportunity to make a difference for these hundred and change people that work for us is a really profound and important part of what we’re up to here. We take it pretty seriously so we do a lot to make working at ONTRAPORT a real positive in our employee’s lives and that investment is definitely kind of paid off in spades and also really like you said, it shows just around the campus. We end up getting the best people to work for our company and really doing their best and they’re happy to be there and that really has worked out for us. John Jantsch: I’m sure this has changed of course but if somebody were going to ask you today what’s still hard about where you are now, what’s the hardest part about business for you particularly in the stage it’s in? Landon Ray: Let’s see, what’s hardest, advertising and making paid marketing work. Most of our business comes from word of mouth and we decided that a couple of years ago that we should add another way of getting customers. We’ve been pretty successful. We’ve gone from 0% marketing generated sales to about 40% marketing generated sales now, which is a pretty big transformation for business like ours over maybe 18 or 24 months but still it’s a real challenge. Man, marketing is a battle. It’s just a hard project. That’s one thing that’s hard. You know, managing all the spinning plates of a hundred and whatever people just it’s a lot of projects, a lot of work gets done, keeping all that stuff on track is always challenging. I’d say that writing software is hard but really we’re getting pretty good at that now. It’s not one of the biggest challenges. We’ve had a lot of challenges that we’ve overcome, for example, hiring and retaining an engineering team when we were a tiny little company, it was hard to get a high quality engineer to come bet their career on you. John Jantsch: Unless they [serve 00:08:39] of course. John Jantsch: Unless they [serve 00:08:40]. Landon Ray: Exactly, yeah. That’s not nearly the challenge that it once was. An engineer now walks into our scene and as you saw, it looks like a good bet. John Jantsch: As I listen you talk about that, I know what you went through in the early days, you took out the trash as well, right, like all CEOs do. What does your job look like now? What is your role, I should say, look like now as a CEO of a hundred person firm? Landon Ray: Let’s see, honestly I have it really pretty good. The primary reason I have it so good is because I made a really extraordinary hire back in 2010 right after we started getting traction. Lena Requist who is our president and she basically runs, I mean she built and runs the whole company with the exception of engineering and product. I literally don’t have anybody except for product and engineering reporting directly to me. It’s like three people that report to me anymore and that’s a pretty good situation. Also, engineering, we have Pin Chen, our CTO is in place and he basically runs the whole engineering team so really I just talk to him and make sure that they’re working on stuff that’s a good idea. My primary duties actually remain in product. I spend probably half my time designing the software which is what I love to do and it hasn’t been that way always. I definitely used to have to do a lot more other stuff and my time was more divided but yeah, I get to spend a lot of my time now on the stuff I like which is awesome. Then, the rest of my time is basically doing the stuff that you would expect, emails, meetings, speaking with money folks and looking at books and spreadsheets and putting together the longer term strategy of the business. It’s a lot of product and then just the basics, meetings and emails, man. John Jantsch: Yeah, so turn those damn notices off. Landon Ray: I’m going to do that. Let’s see how to do that exactly, I think I just did it. John Jantsch: All right, it was just perfect that those were going off. Landon Ray: Exactly. People chat me. John Jantsch: This is a perfect segue I’m going to ask. You’ve been adding to ONTRAPORT and making it better but I’m sure there’s still something missing. Not necessarily from your software but if you could say the perfect thing that we still need to add, what would that be in the category of marketing automation for marketing software. Landon Ray: The roadmap remains long. We have an interesting history in terms of the product, instead of taking this traditional model where you make a minimum viable product, make a feature and then add on to it over time, we did it backwards because remember, our products started as an internal tool. When we launched, it already was extremely robust set of features. Although, our challenge was less around features and more around like scalability because we just didn’t know early on customers came so fast that we ended up having to spend quite a long time rebuilding the foundation of the platform from the ground up and really creating a system that will be scalable for the long-term. We made that investment, it took years and millions of dollars but we have kind of completed a lot of that at this point. It’s been a lot of time of polishing what’s already there. Now, in terms of the next features and stuff like that, I think that we have some gaps around stuff like invoicing. I think our people would really like, we’ll probably eventually end up doing something more shopping carty so that we can take care of people who have more and more products. Right now it’s more like check out forms and subscription management and payment plans and stuff like that. We don’t really have add to cart button sort of system. That will be something we’ll take on but we have a lot of little things also that we’ll continue to improve. We’re about to redo the entire way that our system does accounting which seems kind of boring but when you really get into running an actual business, getting that stuff to work just right is important. There’s not very many systems out there that do that right including ours today but we’re about to release a complete revamp of our accounting system which is going to be great for our customers and for us because we use our system as well. John Jantsch: I had years ago when his first book came out, I had Jason Fried, the founder of 37Signals, right and Basecamp. John Jantsch: I remember him saying when they design software that actually the hardest part of it is what to leave out because they get so many requests and every single person has one little thing that they wish it did so how do you make that decision so that it doesn’t just creep into this thing that’s no longer manageable? Landon Ray: That’s some great question and here’s the answer, it starts with the philosophy behind what we’re up to. The big idea here is that you’re a small business owner, you have customers, your customers are like us, they are human beings and all of us today are so dramatically inundated with input and people tugging on our attention that we become expert at ignoring everything. We ignore advertisements of all kinds. We ignore spam and emails. We ignore the phone. The last time I picked up the phone from a phone number that I don’t recognize was I don’t even know how long ago. We tune it out and we’re really, really good at that. That’s a challenge if you’re a marketer, right? If you’re a business that needs to attract customers, you need to not be tuned out. How do you not get tuned out? You got to ask the question, what do people pay attention to? The answers are obvious, they pay attention to what’s interesting to them right now and so if people pay attention to what’s interesting to them right now then it’s your job as an entrepreneur to be interesting to them right now. How to do that is to figure out what they’re interested in and talk to them about that. It’s the basic principle of marketing about being relevant. Right? Except for today more than ever if you’re not a super highly targeted and relevant then you’re just ignored. The bar has been raised dramatically to where you can’t just be talking about your product when somebody’s maybe in the market for your product. You need to be talking specifically about the particular features or the particular objections or concerns or the particular specific problem that your specific market is looking to solve or you’re getting ignored. You need to figure out how to get relevant. That is the fundamental problem that marketers face and the project the marketing is and how you do that is you figure out what people are interested in. How you know that is two ways, you ether ask them and they tell you and they can tell you on the phone to your sales people, they can tell you by filling out a form, or they can tell you. You can ask them or you can interpret their behavior. You can watch what pages they’re clicking and what emails they’re opening and what advertisements they’re responding to and you can interpret and infer what they’re interested in based on that behavior. You need to have that kind of data, all that data in one place and then you need to use that data to communicate in a way that is relevant. That’s the big idea around here. Most entrepreneurs unfortunately start out and they get an email system over here and a payment processing system over there and a website system over there and what that ends up with is data all over the place. When it comes time to figure out what each individual customer or prospect is into and talk to them in a relevant way, you can’t do it because your page visit data is in one system, and your email click data is in another system, and your purchase history is in another system, and your notes from your sales person is in another system. Then, taking that information and aggregating it and analyzing and doing something with it is a project that’s dramatically too big to actually take on. ONTRAPORT of course is the solution to that problem and so what we’ve done … Your original question is where do we draw the line, where we draw the line is around that stuff, around that of the tools that generate the data that you need to get relevant. Does that make sense? For us, that means email marketing because you need to have that open and click data, it means marketing tracking because you need to know where people are coming from and what they click to come around. That means payment processing so that you know what they’ve purchased, and what they returned and stuff like that. It means CRM so that obviously you can hold all that data in one place but also so you can have your sales people if you have sales people engaging with your folks and letting you know what happened on those calls, taking notes, stuff like that and so on. That’s the critical stuff and so we’re going to continue to improve the features and product in that kind of area but will we do automated webinars, no we won’t because it’s not actually that crucial to know. We can already tell you if somebody attended your webinar or not because we got the click data and the page visit data. Now, if you want to get like super crazy, some of our customers they like to know what percentage of webinar they attended or what percentage of a video they watched. For us, that’s a rare edge case and there’s plenty of integrations with ONTRAPORT that where those high tech customers can do that but we don’t consider that to be core data for being relevant. John Jantsch: All right, let’s talk about ONTRApalooza. We’re in August of 2017 is when we’re recording this so depending upon when you’re listening, you have an event coming up that you’re going to invite people to Santa Barbara in October. You want to pitch that a little bit for the people that might be interested? Landon Ray: Yeah, let me see. I’m actually going to type up that website right now, it’s ontrapalooza.com. Unfortunately, I wish I could tell you who all of our amazing speakers are going to be but I don’t think that they’ve announced it just yet but I can say that we’ve signed contracts with something like 20 or 30 speakers already. John Jantsch: I know who one of them is. Landon Ray: You know who one of them is. Do we lock you down this year? Landon Ray: Awesome. That’s great, I’m glad to hear that, I hadn’t gotten the update on that but that’s going to be great. It is October 4th through 6th in Santa Barbara and this is I want to say 6th you’re doing this and it’s just an awesome event. Our team puts on the best show, I mean it’s super high production value, killer speakers. You can go to our website ontrapalooza.com and see all the people we’ve had in the past and I think we’ll be announcing most of the speakers here in the next just few days. Probably by the time this thing is posted you can go to the site and see a lot of the speakers. They kind of drip out some of the keynotes over time so I don’t know exactly how it goes but it’s a killer event. There’s several different tracks. There’s a software track where you learn all about ONTRAPORT. In fact, the few days before ONTRApalooza you can come out and do our bootcamp which is just a three or four day deep dive which is cool. 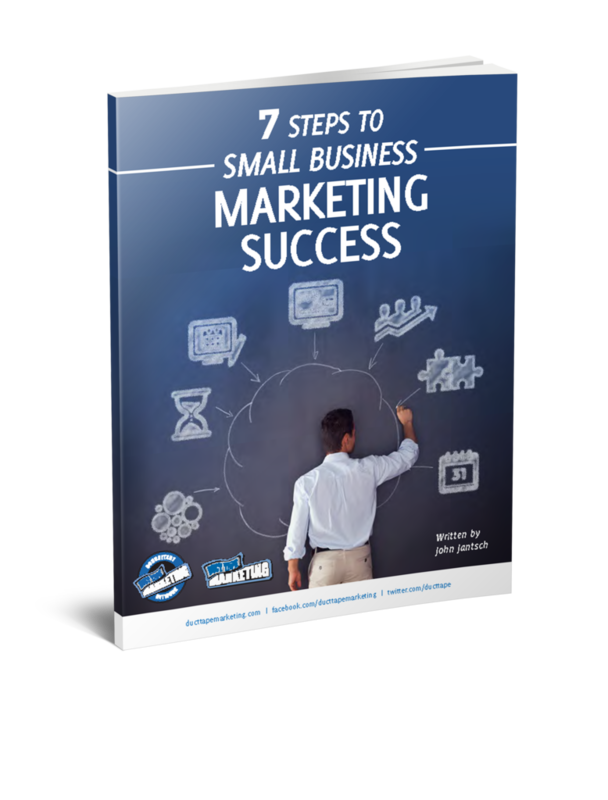 There’s tons of software training at the event but also there’s a whole other track that’s all about just marketing and the general business success. There’s another track for our consultant partners. I mean, it kind of goes on and on. You got to take a look at the site but it’s a great event. John Jantsch: Let’s wrap up with I asked you what was hard, what’s the most fun about what you get to do? Landon Ray: Oh man, I like building stuff, like I said, I’m a product guy and I like building stuff and seeing it come to life and seeing thousands and thousands of businesses around the world use the stuff that we built. It’s such a cool opportunity to be able to support these entrepreneurs and make a difference for them with these tools that we’re building. You know, we’re getting pretty good at it after a dozen years. We’re building some amazing stuff. The release that we just did a couple months ago in July I guess it was or no, early June with our new drag and drop campaign builder is really a pretty impressive piece of software, probably the best release that we’ve ever done. We’re going to just keep the hits coming. To me that’s what’s fun. Also, of course working with entrepreneurs and our employee is killer. John Jantsch: It’s been fun for me to watch your evolution too. As you said, when you put some of the stuff together first, what we call the version one, to really as you said a really sleek looking interface that does ten times what it used to do so really cool and obviously going from you and somebody coding in a garage somewhere to hundred people in a lovely campus in Santa Barbara. Real success story and it’s been fun for me to watch. Landon Ray: Yeah, thanks so much for inviting me to join you today. I appreciate it. John Jantsch: We will see you soon when I’m out in Santa Barbara at ONTRApalooza. Landon Ray: I can’t wait. Thanks. John Jantsch: Thanks for listening to this episode of the Duct Tape Marketing Podcast. What if you can do me a favor? Could you leave an honest review on iTunes? Your ratings and reviews really help and I promise, I read each and every one. Thanks.